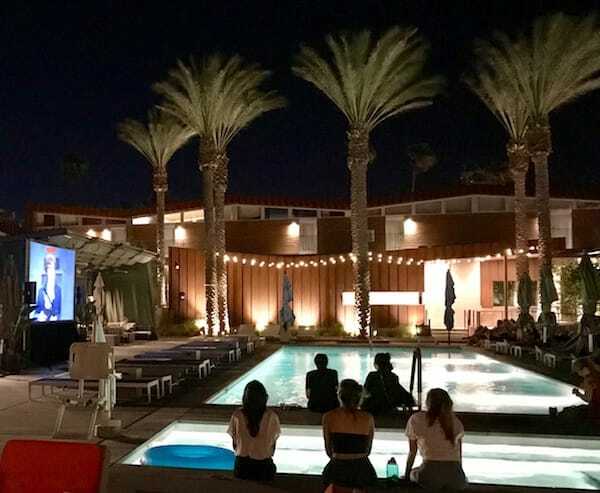 Cool off poolside while watching a classic film. It's summertime in the desert. 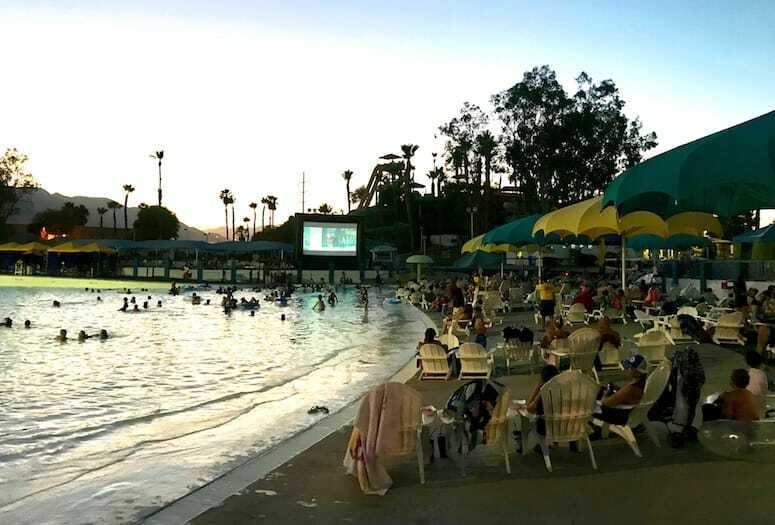 Wet 'n' Wild in Palm Springs offers a dive-in movie every Friday night through July. There is no reason to stay cooped up indoors once the sun goes down this summer. Lounging poolside now can include watching a film. Dive-in movies have replaced drive-in movies, popular in the 1950s and ‘60s. No longer are moviegoers crammed inside stuffy cars with limited leg room and poor sound quality. Now you can hop on a pool floatie in the open air, wade in the shallow end, or relax on a chaise lounge, all while watching the big screen with friends and family. And in Greater Palm Springs, there is neither a better nor a more unique backdrop than the palm trees and and desert mountains in the distance. 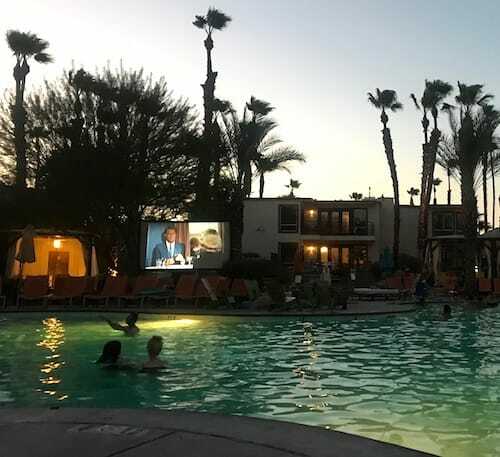 Many local hotels and park facilities offer dive-in movies free of charge or for a nominal fee throughout the summer. Some films are great for the whole family while others are for adults only. Some are even Fido-friendly. We’ve put together a handy list to save you some searching. Movies fans gather around the pool and spa at the Arrive Hotel. Guests enjoy a Cary Grant movie at the Riviera Palm Springs. When: Every Friday throughout Sept. 28 at 8 p.m.